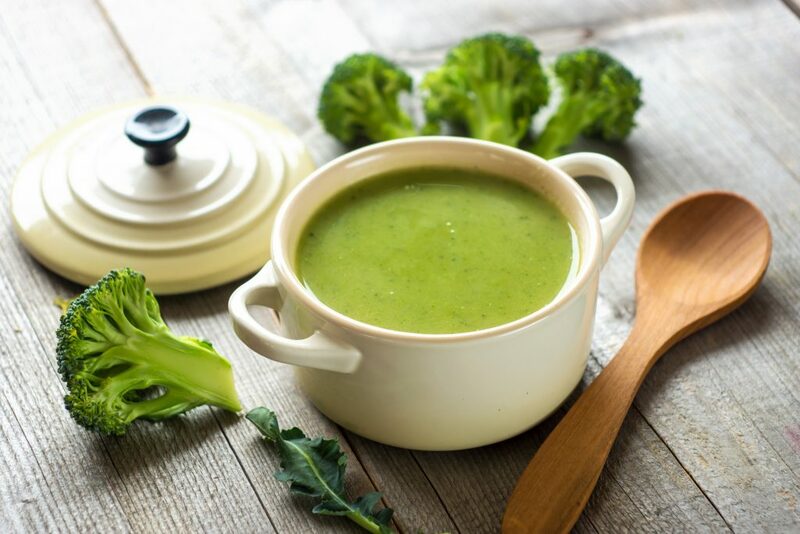 Broccoli Soup - great, light recipe that you will make again! Whenever you have a broccoli soup craving, this will be your go-to broccoli soup recipe! This soup is gluten-free, high-in-fiber, low-in-calories, vegan and mega-healthy. It is an easy and delicious way to make a starter or a quick light meal. How to make broccoli soup? This recipe requires 45 minutes of active preparation. The soup can be made in advance and refrigerated for up to 4 days or frozen for up to 3 months. First heat the butter and oil in a large pot until the butter melts. Next add the garlic and thyme or parsley and continue cooking for half a minute. Finally, puree the soup using use a hand-blender or immersion blender in the pot to blend the soup to perfection. Alternatively, cautiously puree in a blender in small batches.